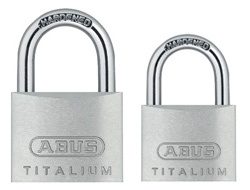 In the last 2 years the padlock industry has been shaken up with the shortage and increased cost of copper which is the main ingredient of Brass. 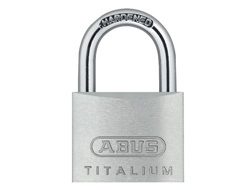 Brass padlocks have until now been the standard for a low-medium security lock. 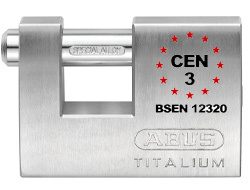 ABUS, have now developed a new alloy called Titalium. 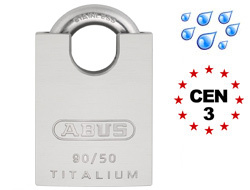 This consists of both aluminium and titanium in just the right quantities to be both light in weight, strong and highly weatherproof. 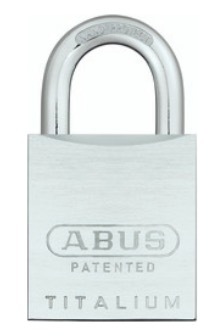 Strangely enough it is also cheaper than the equivalent brass padlock. 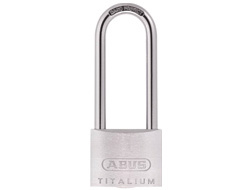 We would now recommended that anyone considering a brass padlock should switch to the Titalium equivalent since brass will be slowly phased out over the next 2-3 years.